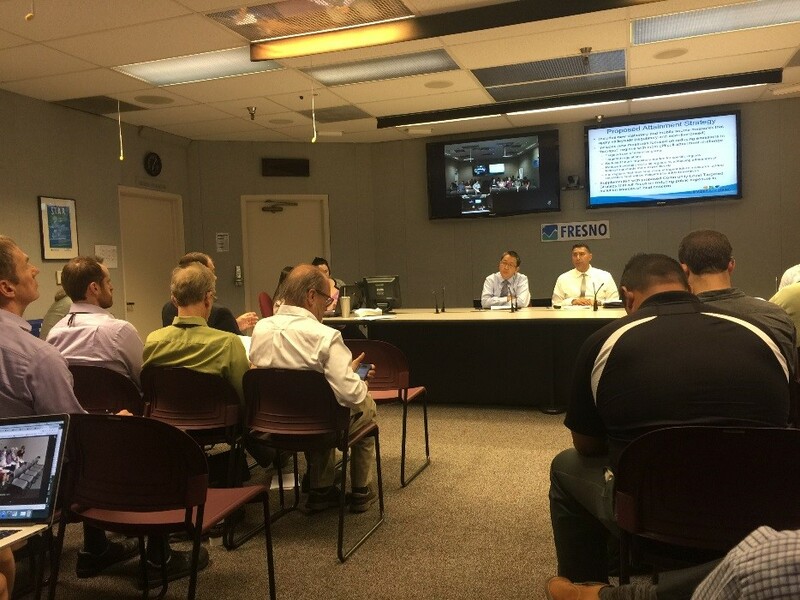 Over 60 people attended last night’s workshop on the PM2.5 plan for the San Joaquin Valley. And what they heard was not good news for agricultural interests. At the Air District level, attendees learned that irrigation pump engines, both diesel and natural gas, will once again become targets for a further tightening of the regulations governing those sources. Tier 3 pump engines will now have to be replaced with Tier 4 engines or electric motors. In addition, the Air District is going to tighten the Conservation Management Practices regulations to control fugitive dust from farms, specifically tightening restrictions on land preparation and how lands are fallowed. On the State side, CARB confirmed the information released last week stating they will be regulating tractors and harvesters for the first time. While they will focus on the use of incentives first, it was made abundantly clear there will be a “drop dead date” by which older tractors and harvesters will have to be replaced. These mandates are a result of a very tight Federal EPA ambient air quality standard for PM2.5. Interestingly, EPA was at the meeting, but said nothing. Fittingly, EPA still intends not to regulate locomotives, a significant source in the valley, and one that can only be regulated by EPA! The Association opposes these mandates and will be submitting written comments accordingly. The plan is expected to be adopted by the SJVAPCD in October and the ARB in November. This entry was posted in NEWS & ISSUES on August 1, 2018 by ccgga.